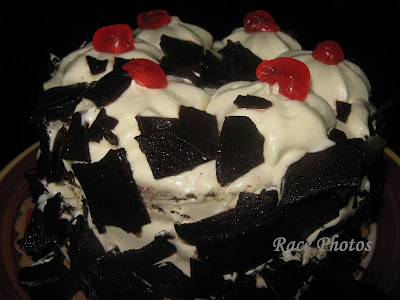 It's my birthday cake last month, Black Forest cake from Red Ribbon and even though my fave is Chocolate Mousse I'm always trying out new products from them. It's now a new product but the kids choose this cake and I succumbed to their choice. Actually I was ordering Mango Cake at that time but they run out of stock so I settled for this. This mouth-watering liquor-moistened chocolate cake, brimming with cherries, cream and generous strips of chocolate shavings can really satisfy your cravings for delicious cake. I'll try their new flavors next time! For more yummy foods click the badges at the top!